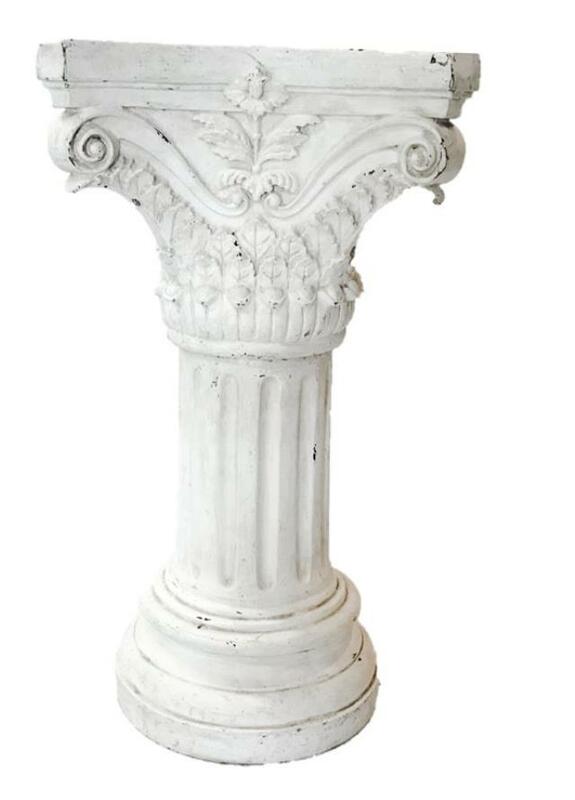 72" tall "distressed" column has ornate square top with a removable center plate to accommodate a floral pot. Made of fiberglass. * Please call us with any questions you may have about our column ivory 72 inch ornate distressed rentals/sales in State College, serving Central Pennsylvania.